We have lost 90% of African elephants in the past century. Adopt an Elephant and help WWF to protect their future. 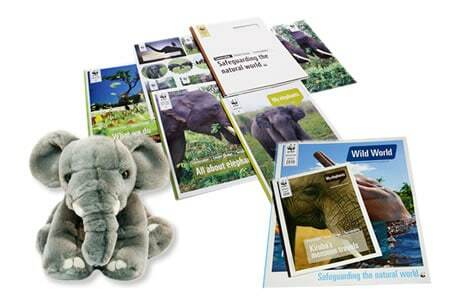 Adopt and receive a cuddly toy Elephant, a fun filled WWF adoption gift pack, plus updates on your animal three times a year. 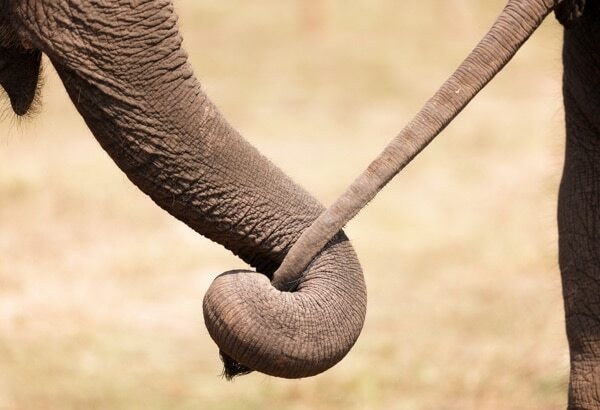 We have lost 90% of African elephants in the past century with around 55 killed every day for their tusks. 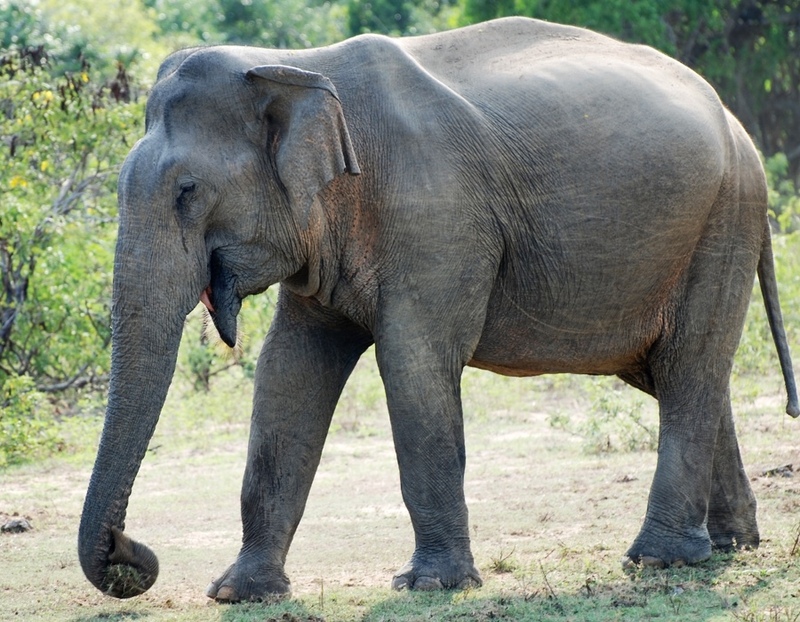 The elephant may be the largest land animal in the world, but their species is in crisis. 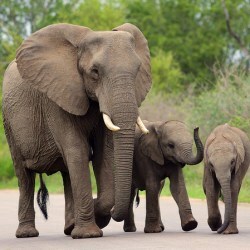 All three types of elephant are listed by the IUCN as threatened. WWF is working hard to conserve this iconic species. The elephant is hunted illegally for its ivory tusks but that is not the only threat, habitat loss is also having a big impact. As human populations continue to grow at a rapid rate, the elephant’s habitat shrinks. From just £3.00 a month, you can adopt an elephant and help WWF safeguard not only their future but also the elephant’s habitat. The elephant is threatened by poaching and habitat destruction and their numbers are falling dramatically. 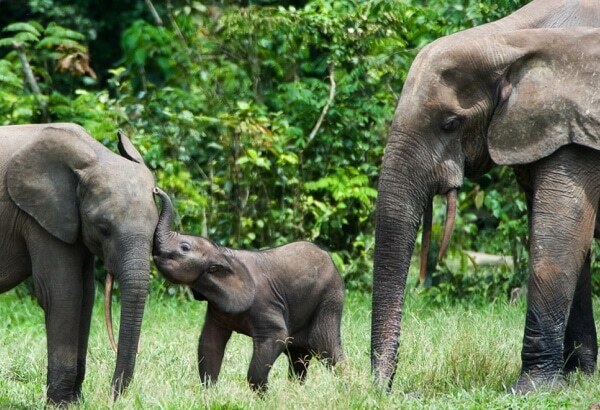 By adopting an elephant you will be helping WWF conserve this amazing species. Your elephant adoption will help fund WWF as it seeks to restore habitat and degraded biological corridors. Hopefully, with the restoration of habitats, elephant numbers will recover. The money you spend on your elephant adoption will be used to support the development of sustainable eco-tourism which will provide income to local people and provides a direct link between economic development and elephant conservation. Help WWF in its anti-poaching efforts by training and equipping more anti-poaching patrols. The money raised through elephant adoptions will go towards fighting back against the main threat to elephants which is the poacher. Your gift pack will be delivered within the UK FREE of charge. Your package will be sent out within 3 business days, but please allow up to 10 days for delivery. Express Delivery costs £3.79 if you order before 2pm Monday - Thursday. Your gift pack will then be delivered within 2 - 3 working days. Order today and you can download your WWF adoption certificate. The adoption gift pack with cuddly toy will then be received within 10 days of purchase. Adopt an Elephant and the recipient gets a beautiful gift pack to let them know just how much you care about them. An optional cuddly toy of your Elephant. A certificate to frame your commitment to the WWF (printed on recycled paper). 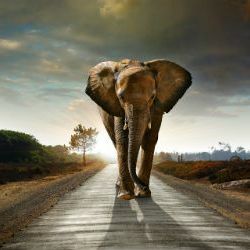 WWF's "Wild World" and "My Elephant" with news and updates for your adopted animal. WWF is a global conservation organisation dedicated to protecting the natural environment and the animals that depend on it. The organisation was first established in 1961 in the UK, but now operates in more than 100 countries and has over 5 million members around the world. 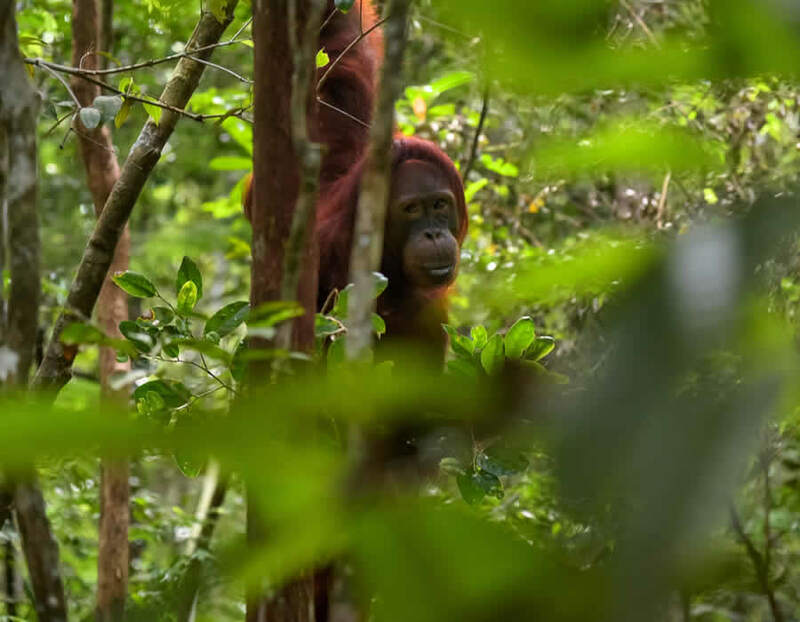 WWF seeks to stop habitat destruction, prevent human animal conflict, end the illegal trade in wildlife and their body parts as part of its efforts to protect wildlife. The organisation tries to restore habitats, promote sustainable development for local communities who depend on natural resources and lobbies governments on behalf of wildlife protection. Adopt from just £3.00 a month and help protect this incredible animal. At the beginning of the twentieth century there were a few million African elephants roaming in the wild. Today that number has fallen to an estimated 450,000. 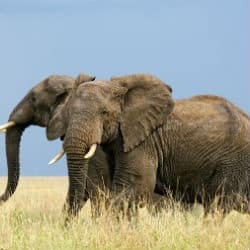 Elephants develop family bonds that are very tight and live in matriarchal family groups of females that are related to one another called a herd. The oldest and usually largest female in the herd in known as the matriarch. When a calf is born it is raised and protected by the whole herd. Male elephants leave the herd when they reach the age of between 12 -15 and usually lead solitary lives. Elephants can live to be 70 years old even in the wild. When an elephant calf is born it can weigh as much as 230 pounds. Our team bring your the latest Elephant news from around the globe.